If you find yourself keenly watching criminal trials in movies or TV shows and admired the advocacy skills of the attorneys, becoming a prosecutor can be a suitable career path for you. Prosecutors generally work in state or district attorneys' offices and serve the public by representing local, state or federal governments in criminal court cases. As a prosecutor, you will be representing federal, state and local governments in criminal cases against individuals or groups accused of illegal activity. If you apply and are able to find work in larger offices and firms, you may end up working in specific areas of the law, such as juvenile offenses or traffic violations while in smaller offices you will be responsible for overseeing all aspects of criminal prosecution. The first step of becoming a prosecutor is to earn a colleges degree. Just like other lawyers, prosecutors need to complete a bachelor's degree to become eligible for entry into law school. You may pursue a degree with courses relating to political science, English or philosophy. You must know that getting law school is quite competitive, and a lot depends on how well you perform on your Law School Admission Test (LSAT). LSAT is basically designed to gauge skills essential for lawyers. The test will measure your reading comprehension, analytical and logical-reasoning skills. Once you earn a bachelor’s degree and get an LSAT score in the range of 120-180, you may have a shot at being admitted into law school. If you are successful, complete law school may take about 3 years, and you will earn your Juris Doctor’s degree upon graduation. During your law studies, you will likely acquire knowledge in various aspects of the law, including contracts, torts and civil procedures. You will also be able to choose an area of specialty such as tax or corporate law. Most states and jurisdictions require lawyers to complete a Juris Doctor degree from a law school accredited by the American Bar Association (ABA). Accreditation from ABA shows that the law school meets certain standards. Prosecutors must obtain a license to practice law for which they must pass the bar exam. Most states require passing of the Multistate Bar Examination, according to the Bureau of Labor Statistics. Writing skills are also very important for prosecutors. They must be precise when preparing documents, such as powers of attorney, wills and trusts. Aspiring prosecutors need to gain practical experience by participating in legal clinics, by means of research and writing on legal issues for a school’s law journals, as well as through practice trials under the supervision of lawyers and judges. Do I need to participate in continuing education programs? As a prosecutor, you need to stay abreast of legal developments that affect your practices. For this, you may have to participate in continuing legal education either annually or every three years. Continuing education programs for attorneys are offered by a number of law schools and state and local bar associations. The program content may vary across law schools, but generally you will get to familiarize yourself with topics relating to legal ethics, taxes and tax fraud, and healthcare. What to Expect From a Career in Law? Lawyers held about 759,800 jobs in 2012. According to the BLS, the career prospects for lawyers look positive. Between 2012 and 2022, the employment of lawyers is projected to grow by 10%, which is about as fast as the average for all occupations. All levels of government require legal services in many areas which will lead to an increased demand for prosecutors. Between 2012 and 2022, there are expected to be 196,500 new jobs created for lawyers, according to the data provided by O*Net Online. Law firms will continue to be the largest employers of lawyers, but a number of companies are expanding their in-house legal departments in order to curb the cost of hiring external lawyers, as reported by the BLS. As a result, the demand of lawyers in a number of settings including healthcare providers and insurance firms will increase. Lawyers work mostly in business and corporate environments; but some also travel to attend meetings with clients at numerous locations, such as homes, prisons or hospitals. Most of these legal professionals work full time. Lawyers who work in large firms and those engaged in private practice often work long hours, spending much time in research and preparation of documents. 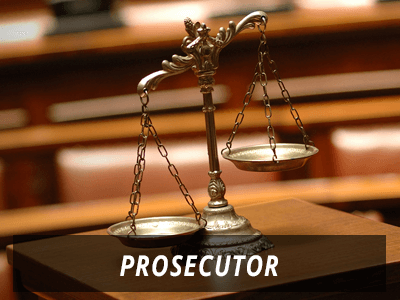 Why should you consider being a prosecutor? You only have to deal the various edicts of the law and their application. You don’t have to build a defense or file a lawsuit. Some experienced lawyers go into practice for themselves. There are others who may be made partners, while some competent attorneys may be made judges. Others may choose to switch careers and become full-time law school faculty and administrators. How to become a prosecutor in Texas? To become a prosecutor, you will need to get an undergraduate degree. Even though you are not required to take up a specific major, going for courses in Criminology, Statistics, Social Research, Law Enforcement and Criminal Law will help you form a solid foundation for your future education. Following this, you will need to enroll in a law school, which will be an additional three years of legal education. Once you have completed this, you will have to appear for the Texas Bar Exam, administered by the Texas Board of Law Examiners to begin practicing as a licensed Texas attorney. How to become a prosecutor in California? Aspiring prosecutors in California begin with an undergraduate degree, followed by a three year long law school after you have cleared the LSAT (Law School Admissions Test). You will then get your Juris Doctor degree, which will prepare you for the real world of law through legal clinics and mock trials among other things. Following this, you will need to pass the California Bar Exam to begin practicing as a licensed attorney in the state. Q:How to become prosecutor? Can you please tell me what a prosecutor does?